Item CG3984. Cloudfoam midsole for step-in comfort and superior cushioning. 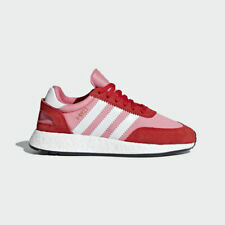 New in Adidas box. Color: Black, Carbon. On occasion it may take 4 weeks. The outsides of the shoes and the insoles are very clean and show no signs of wear. Shoes are like new and in excellent condition. Width: 3.75". Adidas TERREX CMTK W Trail/Hiking running shoes size 8 --MINT GREEN/BLACK-- NEW. Condition is New with box. Shipped with USPS Priority Mail. Condition: NEW and NEVER worn, without Box. Adidas CQ1735 Terrex CMTK W Women’s Size 8 Black Trail Running Shoes. Condition is New with box. Shipped with USPS Priority Mail. Size - 8M. SEE PICTURES FOR VISUAL CONDITION & CONDITION OF SOLE (USE ZOOM). Insole Length approx - 9-3/4". Outside Length approx - 10-3/4". Adidas Womens Terrex CMTK Walking Hiking Trail Shoes Size 9 New . Condition is New with box. Shipped with USPS Priority Mail. Adidas Ladies Terrex CMTK Outdoor Shoe Black Size 8 NWT NIB. Condition is New with box. Shipped with USPS Priority Mail. ADIDAS KANADIA TR TRAIL hike Women’s RUNNING SHOES US Size 9 Blue gray These are awesome shoes with lots of life left in them! They are in used condition and they have some signs of use. Some scuffs and scrapes. No rips or tears. Please see photos for details. The adidas Outdoor® Terrex CMTK shoe is the ideal choice to see you through every adventure! Breathable textile lining within shoe. ONE-DAY SHIPMENT! RECOMMENDED TO BUY A HALF SIZE LESS! Athleta Response Trail Boost Boot W by Adidas. BOOST™ foam midsole creates a comfortable, responsive ride. Molded OrthoLite sockliner for freshness and comfort. INSPIRED FOR: run, hike/explore. Continental Rubber™ outsole is long-lasting with outstanding grip on surfaces of all kinds. Adidas womens Terrex CMTK Walking Hiking Trail Shoes Size 7. Condition is New with box. Shipped with USPS Priority Mail. Adidas Women’s Outdoor Terrex CMTK Black/Chalk White/Mint Green Size10 M Shelf Pulls, Store Stock or Display Models. We sell new, overstock, shelf pull-off, open box.manufacture discontinued, or customer returned items.Some items might have dust or shelf marks,nothing major unless mentioned in the listing. Please see pics. Condition is New with box. LIMITED ADDITION NEUTRAL TONES . 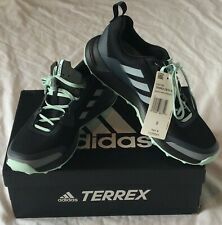 Adidas Women’s Outdoor Terrex CMTK Black/Chalk White/Mint Green Size10 M New with Box. Shelf Pulls, Store Stock or Display Models. We sell new, overstock, shelf pull-off, open box.manufacture discontinued, or customer returned items.Some items might have dust or shelf marks,nothing major unless mentioned in the listing. Please see pics.